The book starts out with a series of original illustrations that, like the cover art, aren't affiliated with an show or series. However, many of the characters in the art work do bear a striking resemblance to the characters he draws for anime. It should also be noted that there are several works in the book that are adult in theme, so this one is not for kids! But this review is completely work safe. There is of course, a large section on the art work for A Kite, most of which aren't appropriate for this post ^^; A Kite and Mezzo Forte came out a year before this book was first published (in 1999) which no doubt helped Umetsu's popularity. 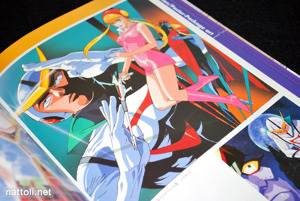 There's also one art work for the OVA Yellow Star which was a very risque animation. 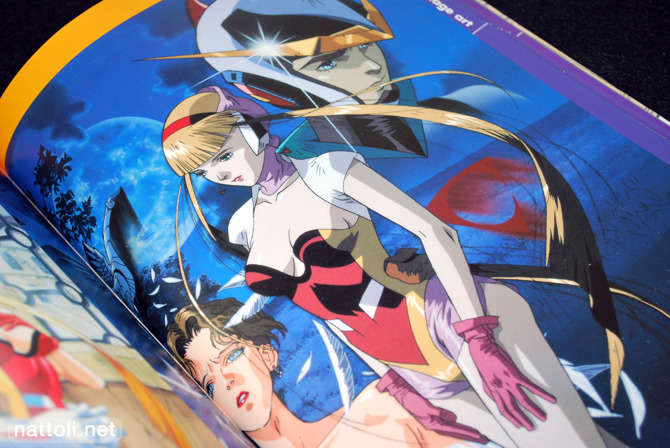 A large part of the book is also dedicated to some of Yasuomi Umetsu's more family friendly works like Hurricane Polymar, and Casshan: Robot Hunter (to an extent ^^;) For a little trivia, Casshan: Robot Hunter was a remake of the 1973 series Shinzo Ningen Casshan, which was even more recently re-made in 2008 (the one most people have likely seen) as Casshern SINS. Do you ever give older anime series a chance, or do you stick with the new stuff? Since Yasuomi Umetsu pimarily designs for anime, he still works as an animator for parts of a lot of shows. 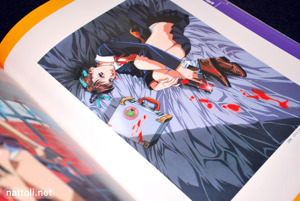 For instance, he did the ending art work for Girl's High. 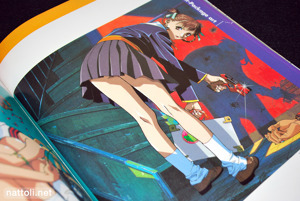 So there are quite a few pictures from series that he didn't do character designs for as well. 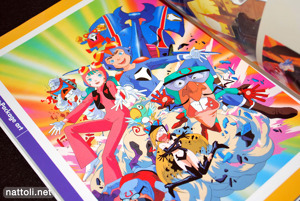 Above, some more of his work from Gatchaman and art work from something I don't know about. 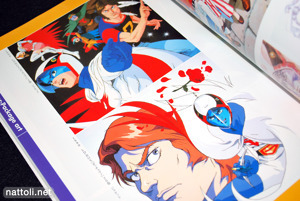 Gatchaman, Hurricane Polymar, and Casshan all really have a very similar look. I guess that's just the trend for super heroes of the time. When not going for the cel-shaded style that is so prevalent with anime, Yasuomi Umetsu gives his art work a very soft water-colored look. There's a new one from him? Praise ceiling cat for allowing this to happen! At least for me I started out with the old shows but after seeing the classics it's time for me to move on to watching a new show now and again. 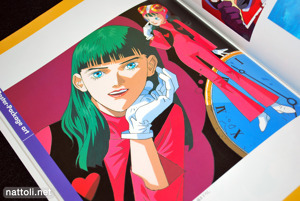 I hate this style of artwork, I'm glad it's behind us, I really feel the anime art style was perfected at the turn of the century. The way I see it though is, give us another 10 years and we'll be saying the same about the stuff that just came out this year.